BRYAN EATON/Staff photo. 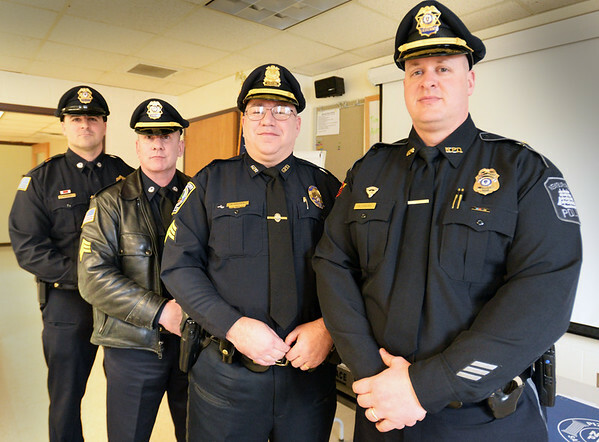 Assisting Newburyport Police Lt. Matthew Simons, right, were, from left, Groveland Detective Steven Petrone, Sgt. Eric Gorski and Georgetown Sgt. Kevin DeFeo.